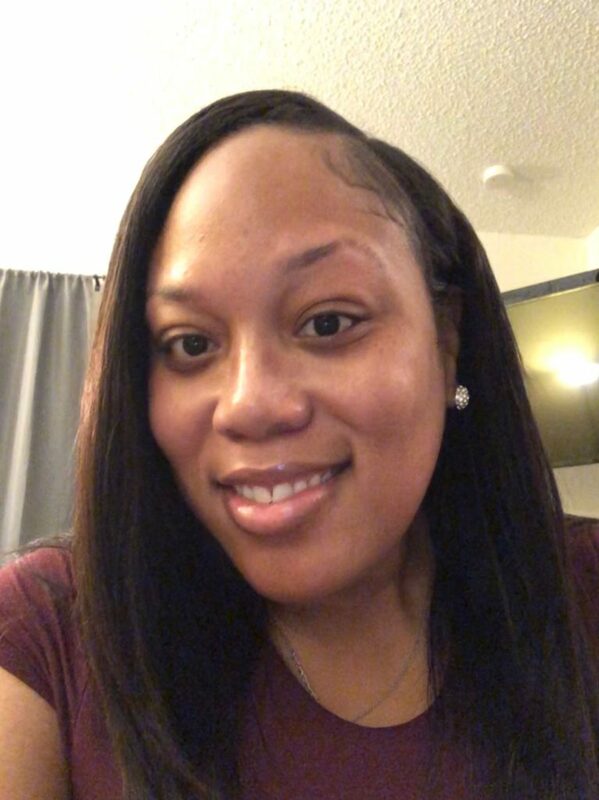 DOING IT BIG IN TEXAS — A native of Arlington, Texas, Delissia D. Witt is a longtime Tax Preparer Trainer and Certified Notary for Tax Nation LLC. ARLINGTON, Texas — For Delissia D. Witt, time is extremely precious to her. That is why she’s become greatly empowered to make the most of it. For what it’s worth, it is due in large part to Witt’s larger-than-life personality, coupled with her keen resourcefulness that have catapulted her to her divine purpose as a progressive, thriving businesswoman. A native of Arlington, Texas, Witt is a longtime Tax Preparer Trainer and Certified Notary for Tax Nation LLC. Located at 835 NE Green Oaks Boulevard in Arlington, Tax Nation boasts a staff that is dedicated to providing excellent customer service, being knowledgeable of tax laws, and, most importantly, serving its respective community. For Witt, whose entrepreneurship expertise spans more than three decades — she initially adopted the business concept in junior high school, she recalls — it’s safe to assume that she had been destined to go into business for herself. For starters, Witt’s mother for years owned a licensed in-home daycare venture, which afforded her the golden opportunity to gain some hands on experience as a young businesswoman. “I handled her clients, paid employees, collected money from parents, and had a curriculum for the children,” Witt recalled. As it turned out, such a solid work ethic continued well into her high school years. LOOK AT HER NOW — Having recaptured the competitive drive to thrive and flourish as entrepreneur, Witt would be the first to admit that she has no time to waste on things that aren’t adding any value to her God-given purpose. A notable resume that also includes being a contestant in the Miss Black Texas pageant — she actually won the talent portion, largely because of her immeasurable acting skills — Witt eventually would become a founding member of the Beta Phi Chi Sorority/Fraternity that was spearheaded by Dennis Dotson. Interestingly, she had become a fixture in the “What Should A Sista Do?” stage play. All things considered, Witt’s wealth of experience as a successful businesswoman has benefited her mightily throughout the years. And, while taking questions from the media this week, Witt didn’t hesitate to emphasize that as a longtime professional tax preparer who boasts immeasurable success, she’s destined to make her presence felt in her native establishment of Arlington. Never mind that a rash of stumbling blocks had essentially given way to her enduring an unlikely hiatus from her business. “After a divorce, I let my business go after five years and I got back into the corporate world and went to school for taxes,” Witt said. And, the rest, as they say, was history. Having recaptured the competitive drive to thrive and flourish as entrepreneur, Witt would be the first to admit that she has no time to waste on things that aren’t adding any value to her God-given purpose. Thanks in large part to her remarkable body of work in her profession, Witt will be the afforded the golden opportunity to enhance and promote her brand in the coming months when she attends an IRS conference this summer. SHE ISN’T DONE YET — Thanks in large part to her remarkable body of work in her profession, Witt will be the afforded the golden opportunity to enhance and promote her brand in the coming months when she attends an IRS conference this summer. Having been partnered with Tax Nation for the past five years, Witt has ventured off and started Divine Business Services, which customarily allows her to serve clients by aiding them to keep their business-related goals and ambitions intact. “Out of my trials and tribulations I’ve been through, I’ve learned from them and turned them into a business and a way to help this upcoming generation,” Witt said. She has no time to waste. For more information about Dallas/Fort Worth-area Businesswoman Delissia D. Witt, or to schedule her for a public appearance or speaking engagement, call 817.609.0136 or connect with her via Facebook at: https://www.facebook.com/delissia.lockett.9. Also, send email to: Dlockett@taxnationusa.com. 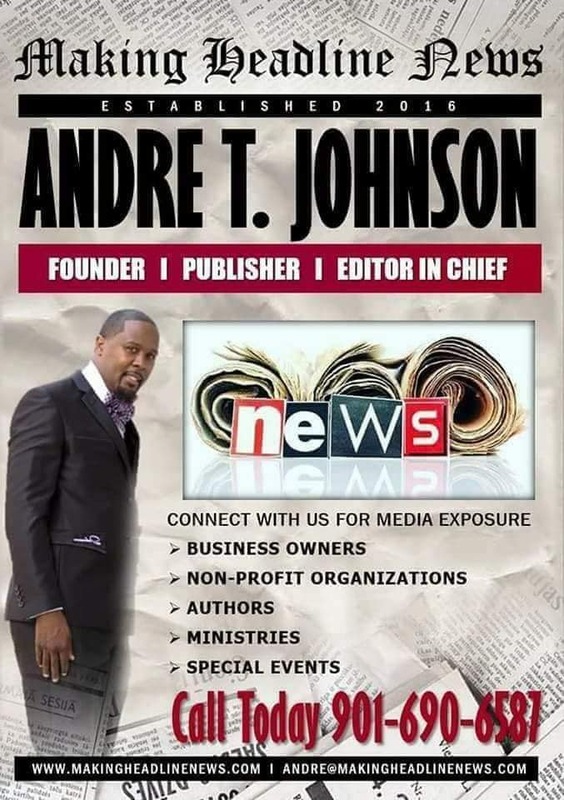 DIFFERENT LEADER, SAME MISSION — A notable faith-based resume that is comprised of Edward Taylor being widely dubbed a well-respected preacher, teacher, evangelist, worshipper, father, and counselor, he has appropriately assumed his rightful place as the face of the historic Deliverance Chapel Church of God In Christ, located at 1438 Hortense Avenue. DALLAS — For the record, it is a testimony that Edward Taylor deems it a foregone conclusion to share with the masses. Every single chance he gets. Just recently, Taylor found himself disclosing it once again, reliving the awe-inspiring notion that had it not been for the Lord on his side then, chances are, he wouldn’t merely know where he’d be. Then again, he does have an idea, to put it rather bluntly. To grasp a thorough understanding of why Taylor would be considered a proverbial nuts and bolts — or a going by the book — type of minister, look no further than not just how God has provided for him a way of escape time and again. Oh…and while you’re at it, look no further than how he’s diligently going about serving the people of God. A notable faith-based resume that is comprised of Taylor being widely dubbed a well-respected preacher, teacher, evangelist, worshipper, father, and counselor, he has appropriately assumed his rightful place as the face of the historic Deliverance Chapel Church of God In Christ, located at 1438 Hortense Avenue. Installed as an ordained elder approximately two years later by the late Bishop J. Neaul Haynes, the former Prelate of the Texas Northeast First Jurisdictional, Taylor consequently served closely under late Superintendent Kelley Jr., a stint that would ultimately give way to his official installation as Deliverance Chapel’s Pastor months after Kelley Jr.’s untimely demise, despite having founded Dallas’ El Shaddai Temple Church of God In Christ in August 2011. A tradition-rich institution that’s housed in the historic Oak Cliff community of Dallas, Deliverance Chapel has embraced wholeheartedly the keen leadership of Taylor, 53, since the longtime minister was installed as its third Senior Pastor in 2017. Having succeeded the late Superintendent Elijah Kelley Jr., who passed away on November 19, 2016 at the age of 54, Taylor has made immeasurable strides since assuming the Senior Pastoral duties and, much to his delight, his congregation has unquestionably and gracefully received him in the process. Deliverance Chapel was founded in 1981 by the late Superintendent Elijah Kelley, Sr. and his wife, Elect Lady Geneva Kelley. “Although (I was) raised in a single parent home, my mother always taught me to work hard and never let anyone tell me what I can’t do or attain,” said Taylor, recalling the No. 1 key value he was taught as a child. SERVING WITH EXCELLENCE — To grasp a thorough understanding of why Taylor would be considered a proverbial nuts and bolts — or a going by the book — type of minister, look no further than not just how God has provided him a way of escape time and again, but look no further than how he has gone about serving the people of God. A native of Jackson, Mississippi, Taylor and his family relocated from the Magnolia to the Lone Star State in 2004, approximately nine years after he had effectively accepted his calling to preach the gospel. Interestingly, even before God had strategically set Taylor aside for His use, this young preacher endured a tumultuous season in the wilderness, one that was mired by his constant drug addiction. All things considered, coupled with divine purpose for which he was created, even a somewhat lengthy connection to drugs wasn’t enough to steer Taylor to a premature death, mind you. REMEMBERING HIS PREDICESSORS — Having succeeded the late Superintendent Elijah Kelley Jr., who passed away on November 19, 2016 at the age of 54, Taylor has made immeasurable strides since assuming Senior Pastor duties and, much to his delight, his congregation has unquestionably and gracefully received him in the process. If nothing else, it seemed that such a downtrodden and gloomy season of his life only impressed upon the heart of his Creator to come after him the more. So much so that this young, gifted preacher from the “SIP” (a historic abbreviation for Mississippi) had no choice but to do away with his potentially dead-end addiction, thus pick up his cross and obey God’s specific commands that included, among other things, leading His people for such a time as now. Because at the end of the real day, Taylor was taught, more than anything, that only what you do for Christ will last. Armed with well over three decades of experience in the ministry, Taylor is especially appreciative of the valiant and unyielding support of Elect Lady Tangela Taylor, his wife of 15 years, who serves alongside him in ministry. Here he is today, functioning mightily in his element as the chief executive officer of one of the most longstanding ministries in Dallas/Fort Worth which, to his credit, is a far cry from those days back home in Mississippi, where the adversary sensed he had Taylor right where he wanted him. SERVANT’S HEART — For what it’s worth, this national COGIC Adjutant has been serving ever since — serving with a pure and contrite heart, serving immense adherence and trustworthiness, serving according to God’s purpose. “(My ) family is very supportive, especially my mother and adult children,” said Taylor, explaining his transition to Senior Pastor nearly two years ago. Credit Taylor’s predecessor as arguably the biggest reason why. 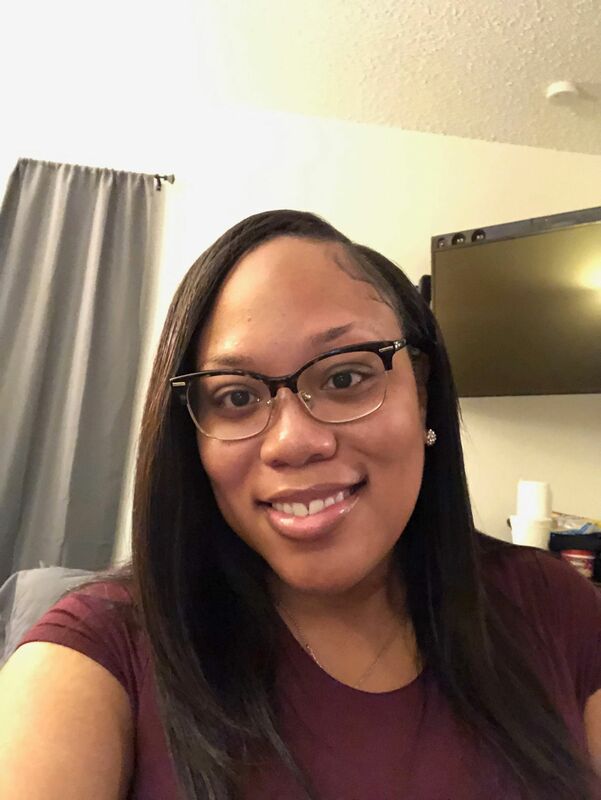 Taylor joined Deliverance Chapel in 2004 after serving a brief tenure under Pastor Joe Starks of Shady Gove Church of God In Christ in nearby Irving, Texas. Installed as an ordained elder approximately two years later by the late Bishop J. Neaul Haynes, the former Prelate of the Texas Northeast First Jurisdictional, Taylor consequently served closely under Superintendent Kelley Jr. Such a stint would ultimately give way to Taylor’s official installation as Deliverance Chapel’s Pastor months after Kelley Jr.’s untimely demise, despite having founded Dallas’ El Shaddai Temple Church of God In Christ in August 2011. Prior to assuming his Pastoral assignment in Texas, Taylor served at Amazing Institutional Church of God in Christ in Jackson, Mississippi, under the leadership of Superintendent Marcus Butler. Currently, Taylor serves as Evangelist President to Bishop Nathaniel De’Anthony Wells, the Prelate of Texas Northeast Fourth Ecclesiastical Jurisdiction. A PROVEN LEADER — A tradition-rich institution that’s housed in the historic Oak Cliff community of Dallas, Deliverance Chapel has embraced wholeheartedly the keen leadership of Taylor, 53, since the longtime minister was installed as its third Senior Pastor in 2017. For what it’s worth, though, this national COGIC Adjutant has been serving conscientiously ever since — serving with a pure and contrite heart, serving with immense adherence and trustworthiness, serving according to God’s purpose. Most of all, he’s serving fervently from God’s perspective. Which, because of the divine calling on his life, is a far cry from those days back home in Mississippi, where the adversary sensed he had him right where he wanted him. For more information about Dallas/Fort Worth-area Pastor Edward Taylor of Deliverance Chapel Church of God In Christ, or to schedule him for a public appearance or speaking engagement, call 214.371.1744, or connect with him via Facebook at: https://www.facebook.com/deliverancechapel.cogic.9. Also, to follow Deliverance Chapel’s Live Stream, log on to: https://www.facebook.com/deliverance.chapel.98. 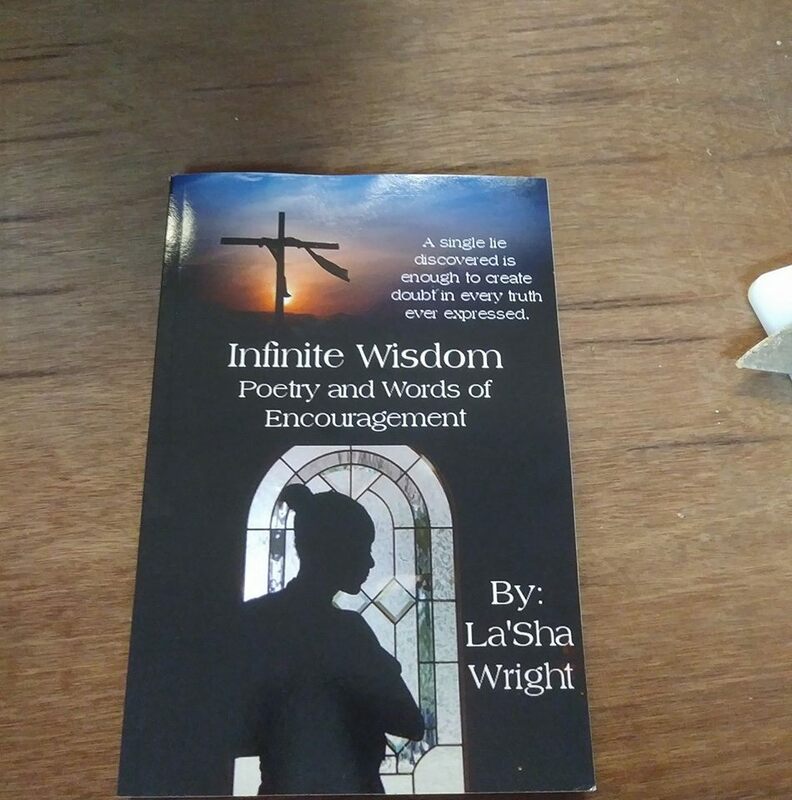 WRITINGS ON FLEEK — To her credit, LaSha Wright, an Ashtown, Arkansas-based author, is the mastermind behind “Infinite Wisdom: Poetry and Words of Encouragement” and “Infinite Wisdom: Poetry and Words of Encouragement, Volume II,” a pair of awe-inspiring books whose release dates are separated by approximately six months. 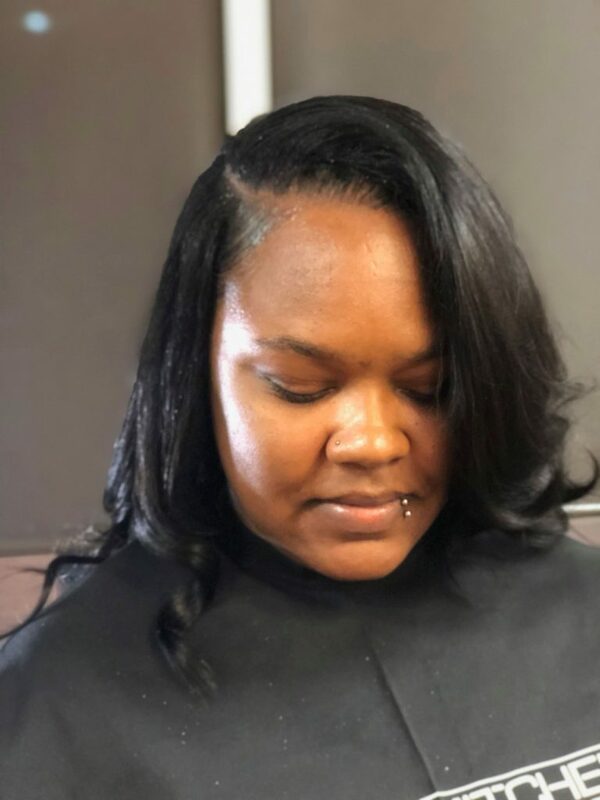 LaSha Wright is just a tender 24 years of age, yet her business-related resume is such that she’s far more mature and productive for a young woman, who won’t reach her 30’s until November 2024. For Wright, she has certainly gone to great lengths to not only press and navigate toward her purpose but, more than anything, she has deemed it essential to reach back and aid others to follow suit. A native of Dallas, Wright is an accomplished writer, who is responsible for having author two books to date. To her credit, this Ashtown, Arkansas-based author is the mastermind behind “Infinite Wisdom: Poetry and Words of Encouragement” and “Infinite Wisdom: Poetry and Words of Encouragement, Volume II,” a pair of awe-inspiring books, whose release dates are separated by approximately six months. Wright’s first installment of Infinite Wisdom was officially released on August 25, 2017, a project that took somewhere in the neighborhood of four months to complete. A book that is comprised of 218 page in length, “Infinite Wisdom: Poetry and Words of Encouragement,” by all accounts, is a collection Wright’s spiritually-empowering poems and letters, many of which are geared toward bringing about clarity and wholeness to life. 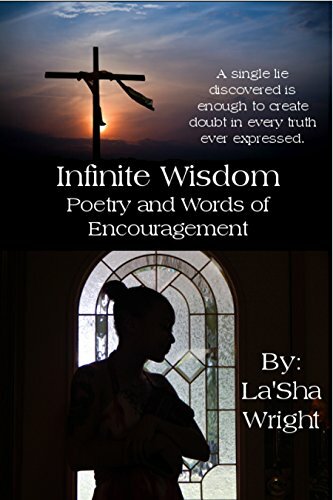 Wright’s sophomore edition of “Infinite Wisdom: Poetry and Words of Encouragement” was officially released on February 12, 2018 and, like her first book, has since garnered a considerable amount of favorable feedback. Once she stepped out on faith, particularly through her breathtaking poems and letters, God had ultimately allowed her gifts to make even more room for her. Today, unlike never before, this young and gifted author is destined to advance the kingdom, thus inspire countless of people around the globe to connect with their God-orchestrated gifts, courtesy of her immeasurable writings. Even at the tender age of 24, Wright has become thoroughly inspired to help people view and embrace life for the precious, yet fragile gift from God it is. 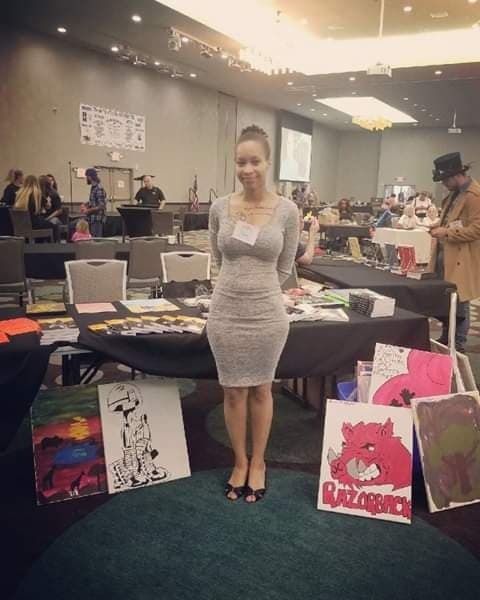 A certified welder, Wright graduated from college in May 2014 and, according to this resourceful businesswoman, she eventually plans to become active in metal art and hopes to establish her own art show soon that will display her slew of art works. And not just learning and becoming more and more knowledgeable while functioning in her element, but devising ways to greatly aid others to follow suit. Never mind that she’s only 24 years old. DESTINY STEPS — A certified welder, Wright graduated from college in May 2014 and, according to this resourceful businesswoman, she eventually plans to become active in metal art and hopes to establish her own art show soon that will display her slew of art works. “My words speak volumes,” Wright said. “I am powerful in my words, but also in my writings. I touch everyone, because I speak truth. Not only that, I believe in God enough to know I can make a difference. Well said by this young and brilliantly gifted author, one who’s having an immediate impact throughout the kingdom. 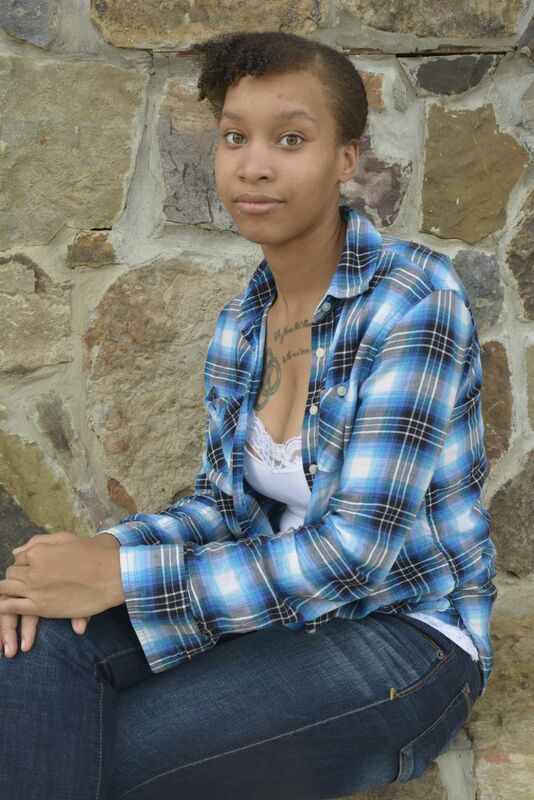 For more information about Mid-South-area Author LaSha Wright, or to schedule her for a public appearance, a book signing or speaking engagement, connect with her via Facebook under https://www.facebook.com/Mrz.LaShaeRaneaSmithYuKnoeit, or via Instagram: @lashamayola. Also, send email to: Shaeranea@gmail.com. DALLAS — Diana Sheffield Richards is a dear friend to Bryan Ezell. On Tuesday morning, she deemed it essential to enlighten her social media followers of just how much she admires Ezell, a rising fixture in this ever-so-competitive gospel music industry. “This is so cool! I can’t wait to see my friend, Bryan Ezell, sing at the Choice Competition. And it’s for a great cause!” Richards wrote in a Facebook post, alluding to Ezell’s forthcoming appearance at the Choice Singing Competition Friday night. SET ASIDE FOR GOD’S USE — A native of a small, unincorporated community known as Tom, Oklahoma, Bryan Ezell, 41, has made his presence felt as an accomplished gospel recording artist, whose immeasurable talents are steadily advancing the kingdom mightily for such a pivotal time as now. For Ezell, Richards’ public celebratory shout out is just a microcosm of the kind of unyielding support this gifted and talent Sherman, Texas-based singer has garnered in recent years. A native of a small, unincorporated community known as Tom, Oklahoma, Ezell, 41, has made his presence felt as an accomplished gospel recording artist, whose immeasurable talents are steadily advancing the kingdom mightily for such a pivotal time as now. RUNNING WITH THE VISION — A gospel music tenure that spans more than 15 years, Ezell has gone to great lengths to become more of a gospel artist who customarily wears many hats, considering he possesses the immeasurable smarts as an audio engineer and music producer. A gospel music tenure that spans more than 15 years, Bryan Ezell has gone to great lengths to become more of a gospel artist, who customarily wears many hats, considering he possesses the immeasurable smarts as an audio engineer and music producer. Talk about savoring the fruits of his labor, this for an overwhelmingly gifted PK whom, because of the divine calling on his life, is witnessing his gifts steadily make room for him. A product of the Ezell Legacy Group, LLC, Bryan Ezell also offers music services to individuals of all ages at his family’s Trinity One Records LLC studio. After all, if he’s heard it once, he’s likely heard it countless of times. 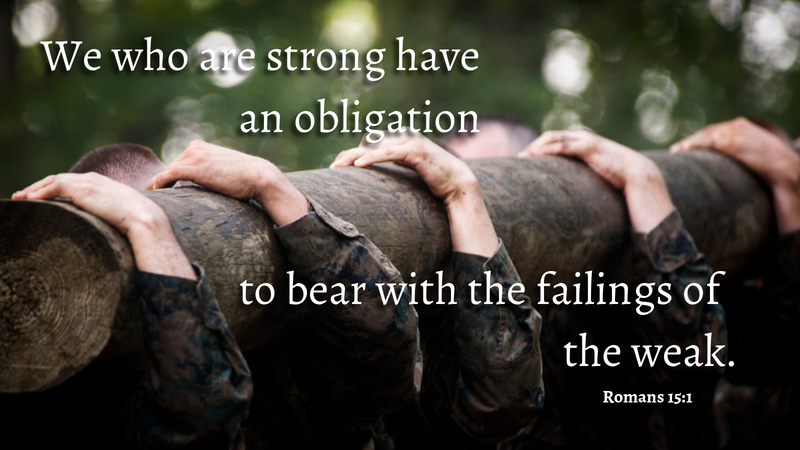 That is, whatever you do for Christ will last. And, if God said it, that settles it. Let the church say Amen. For more information about Texas Gospel Recording Artist Bryan Ezell, or to schedule him for an appearance, call Veronica Ezell of Ezell Legacy Group, LLC at 888-814-4632. Also, connect with him via Facebook at: https://www.facebook.com/bryan.ezell.98, or send email to: info@ezelllegacygroup.com. SMILE OF VICTORY — A native of Kansas City, Kansas, Reneé Monique Heard is an accomplished Dallas/Fort Worth-area hair stylist, who works as a full-time cosmetologist. DALLAS — Sometime during the 8 o’clock hour Monday morning, Reneé Monique Heard arrived at Paul Mitchell The School in nearby Arlington, Texas, an institution that’s widely known for preparing its students — or “future professionals,” as they call them — for successful careers in the beauty industry. Exemplifying such intensity for what she’s been blessed to do on the regular, Heard found her way to campus, displaying her customary spirited disposition. “I absolutely love this place,” Heard wrote in a Facebook Check-In post that was read by her nearly 700 social media followers. If nothing else, all Heard has done since bolting college prematurely was discover the purpose for which she was created. For Heard, a 34-year-old rising businesswoman, the passion she routinely exhibits for her craft, by all accounts, undoubtedly is the primary factor for her sustained success in the ever-so-competitive cosmetology industry. Although Heard’s decision to study Criminal Justice was short-lived — “I quit after the third semester,” she recalls — never did she lie dormant in her ability to broaden her horizon and maximize her potential. 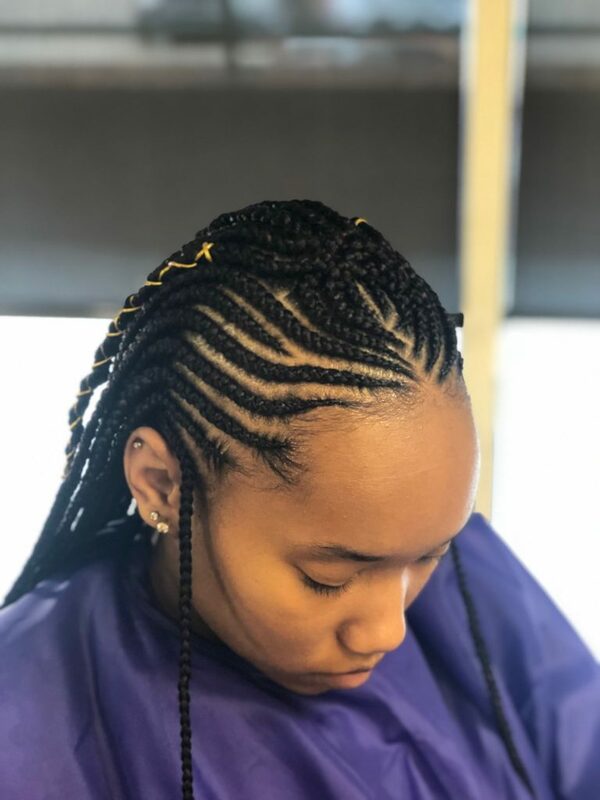 A native of Kansas City, Kansas, Heard is an accomplished Dallas/Fort Worth-area hair stylist, who works as a full-time cosmetologist. “I am 34 years of age and very passionate about my craft,” Heard says without hesitation. As Heard explained, her passion for helping clients look their best dates back to her childhood days of growing up in Kansas. 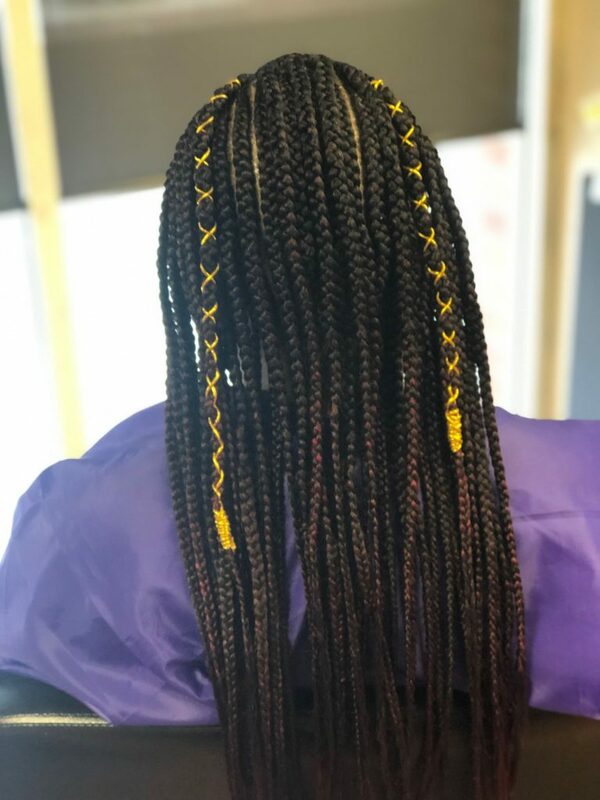 REROUTING — Although Heard decision to study Criminal Justice was short-lived — “I quit after the third semester,” she recalls — never did she lie dormant in her ability to broaden her horizon and maximize her potential. 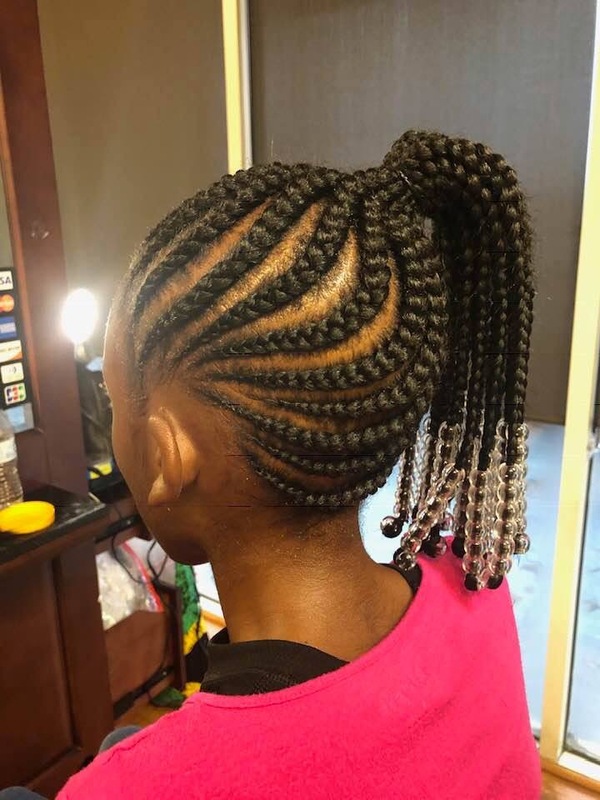 Although her grandparents didn’t have the funds to pay for her to get the hairstyle she so desperately wanted, Heard did what any opportunistic youngster is supposed to do. She began to think outside the box and devised her own way to make it happen. 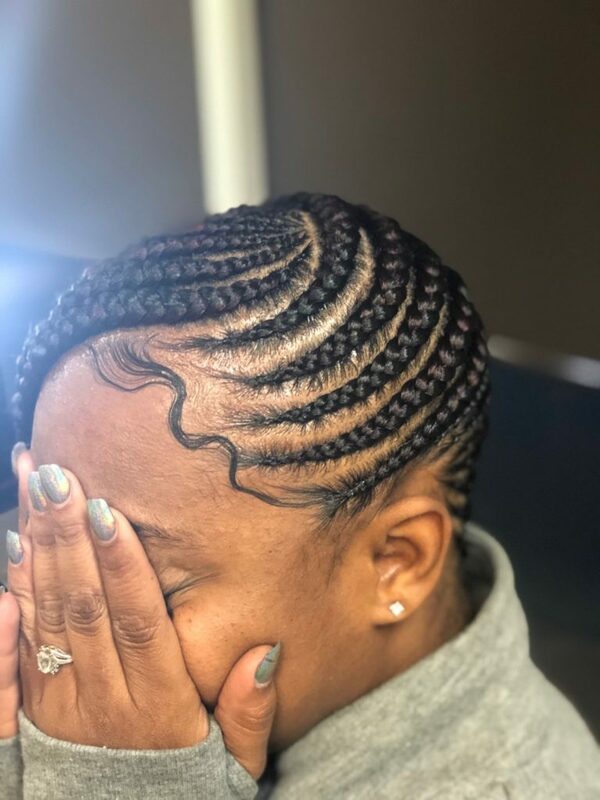 To her credit, she’s been making it happen ever since, all the while finding her niche as a resourceful hairstylist in the process. BACK WHERE IT ALL STARTED — As Heard explained, her passion for helping her clients look their best dates back to her childhood days of growing up in Kansas. Much to her delight, it wasn’t long thereafter that Heard’s immeasurable hair-styling gifts had become the talk of the town. Amongst the pivotal things Heard had ultimately discovered is that connecting with her purpose is much more refreshing and therapeutic than working some dead end job that wasn’t merely adding any value to her life. Having admittedly to have “avoiding my calling,” it seemed that everywhere Heard had gone, her expertise essentially had come running after her. 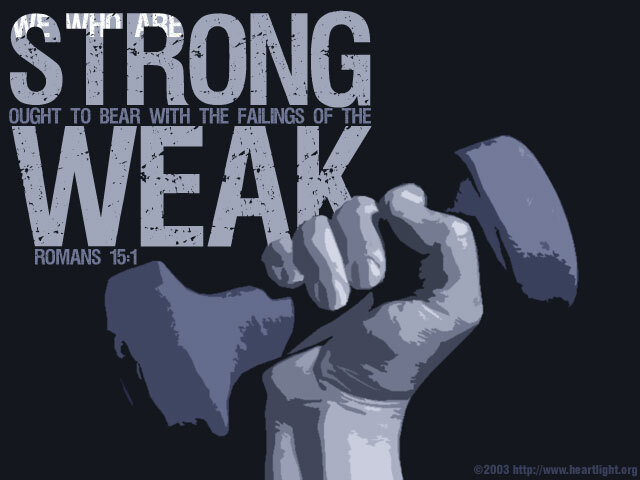 At some point doing her sometimes rocky journey, when Heard had finally elected to stop running from that which God called her to do, that is when her Creator began to enlarge her territory, thus catapult to her divine destiny for such a time as now. Heard, in fact, sensed that something had to give. With no additional time to waste. DESTINY STEPS UNFOLDING — For Heard, a 34-year-old rising businesswoman, the passion she routinely exhibits for her craft, by all accounts, undoubtedly is the primary factor for her sustained success in the ever-so-competitive cosmetology industry. Because amongst the pivotal things Heard had ultimately discovered is that connecting with her purpose is much more refreshing and therapeutic than working at some dead end job that wasn’t merely adding any value to her life. How else to explain why she arrived to campus Monday morning, displaying her customary spirited countenance. 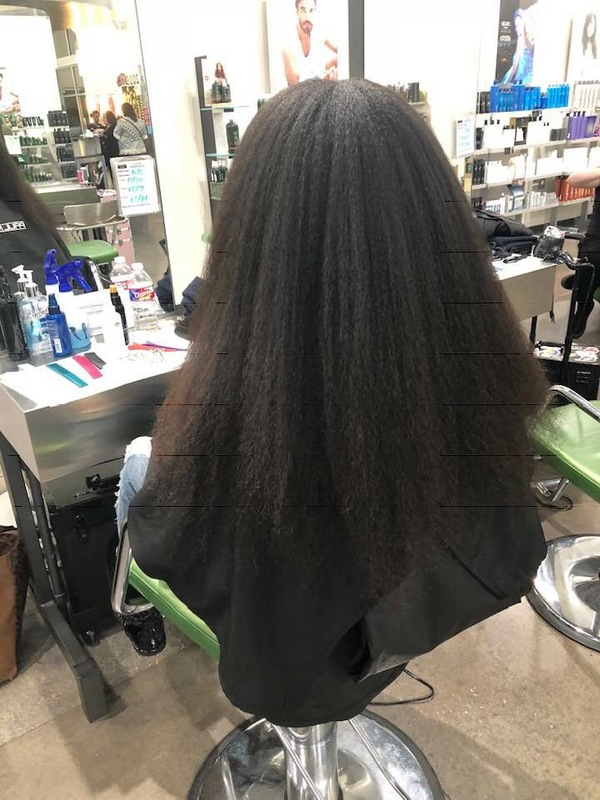 For more information about Dallas/Fort Worth-area Businesswoman Reneé Monique Heard, connect with her via Facebook at: https://www.facebook.com/renee.monique.100 and on Instagram under Hair by Reneé Monique. DALLAS — Some time ago, God gave Christale Thompson a life-changing vision. Eight years ago to be technical. For Thompson, her much-anticipated and well-deserved “new beginning” has benefited her mightily, particularly as a flourishing entrepreneur. “I have been decorating homes and events for eight years now,” Thompson, 36, told Making Headline News this week. MASSIVE SUPPORT — A progressive business that caters to people and groups of all ages, Jeanelle Decor And Event Stylist had come full circle, in part because of Thompson’s solid support system that’s comprised of a gallery of loved one, close friends, and acquaintances. A native of Eudora, Arkansas, a Southern Chicot County town that is comprised of roughly 2,269 residents according to latest U. S. census, Thompson’s Jeanelle Decor And Event Stylist has given way to this resourceful businesswoman emerging as one of the finest and most efficient event designers in the DFW Metroplex. ONE WOW MOMENT — A native of Eudora, Arkansas, a Southern Chicot County town that is comprised of roughly 2,269 residents according to latest U. S. census, Thompson’s Jeanelle Decor And Event Stylist has given way to this resourceful businesswoman emerging as one of the finest and most efficient event designers in the DFW Metroplex. As Thompson — who’s widely known as Jeanelle Chris — explained, her steadfast commitment to exceeding her customers’ expectations has given way of sustained success for a business she hopes generates more of a national presence, much sooner than later. A progressive business that caters to people and groups of all ages, Jeanelle Decor And Event Stylist had come full circle, in part because of Thompson’s solid support system that’s comprised of a gallery of loved one, close friends, and acquaintances. “I want to thank Janice Thompson, Kim Dalcour, Shirkari Campbell, First Lady Melonye Batson, and my daughters for believing in me when I was too shy to believe in myself,” said Thompson, who will be hosting her inaugural “God’s Vision” board party in March at a date to be announced. Now that she’s a little more than eight years in on an event designing business that undoubtedly is aligned with her God-mandated purpose, this young entrepreneur is especially appreciative of the fact that her vision is steadily coming full circle. Just as God had planned all along. Now that she’s diligently working her vision through the ever-so-competitive entrepreneurship industry, Thompson doesn’t shy away from the notion that it is her civic duty to reach back and inspire others to follow suit, thus maximize their potential through their gifts. Just as she’s doing — with God, her Helper, steering the way. For more information about Dallas/Fort Worth-area Businesswoman Christale Thompson of Jeanelle Decor And Event Stylist, connect with her via facebook at: https://www.facebook.com/christale.thomas.7. 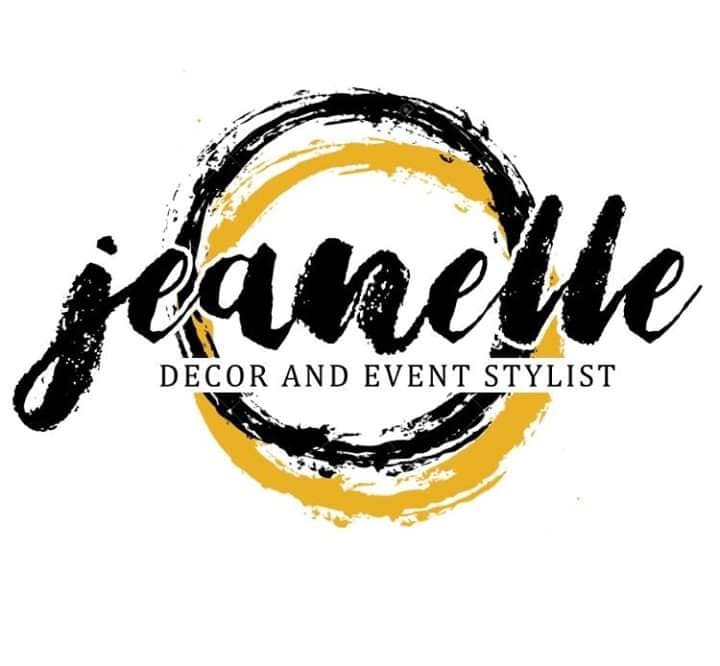 Also, send email to: <jeanelleeventdesign@gmail.com. DALLAS — Is Tyresha Wright the detox water industry’s best kept secret? Given the constant buzz Wright has created — courtesy of her organic detox water products — throughout Dallas/Fort Worth’s massive Metroplex, it’s safe to assume the sky’s undoubtedly is the limit for this thriving, progressive entrepreneur, who is the owner of Wright’s Organic Detox Water. HER PRODUCTS ARE LIT — Given the constant buzz Tyresha Wright has created — courtesy of her organic detox water products — throughout Dallas/Fort Worth’s massive Metroplex, it’s safe to assume the sky’s undoubtedly is the limit for this thriving, progressive entrepreneur, who is the owner of Wright’s Organic Detox Water. A business that has enjoyed a considerable amount of growth since its inception a little more than a year ago, Wright’s Organic Detox Water has become a fixture, in large part because of its naturally infused flavored water with organic fruits, vegetables, and herbs, all of which assist to purify, replenish, and hydrate organs in the body. Interestingly, as Wright — who’s widely known as “Ty” — told Making Headline News this week, her organic detox water is especially resourceful, considering her products help rid the body of harmful toxins, which increases the overall nutritional and health benefits, all the while consumers enjoy refreshing, infused H20, she said. 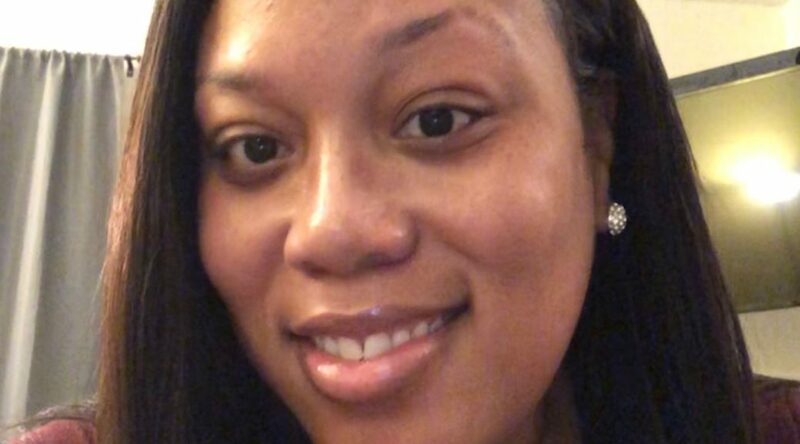 A Provider Relations Analyst for a local healthcare company, Wright, 39, said her fervent desire to delve off into entrepreneurship surfaced largely because of her single parent household status. KNOWLEDGE IS POWER — Amongst the reasons Wright has developed a passion for convincing consumers to buy into organic detox water is that our body is constantly working to dispel toxins and unwanted matter from its various systems, according to a report on the importance of detoxifying the body at https://www.foodmatters.com. Much to her delight, Wright’s passion for helping others achieve their strategic health and wellness goals and objectives has not only given way to some much-needed financial stability but, to her credit, her delectable products have created a huge buzz in the state where residents have become accustomed to doing things big. Since the startup of Wright’s Organic Detox Water, the general consensus amongst consumers is that, well, perhaps Wright is steadily making a strong case that she’s the detox water industry’s best kept secret. And, if things hold up for this solid, innovative businesswoman whose best entrepreneurship days seem well ahead of her then, in all likelihood, her strategic goals and ambitions for 2019 and beyond will surely come full circle. That is, Wright is working diligently on ensuring that her booming business attracts more of a national presence. SIGN OF THINGS TO COME — Since the startup of Wright’s Organic Detox Water, the general consensus amongst consumers is that, well, perhaps Wright is steadily making a strong case that she’s the detox water industry’s best kept secret. Amongst the reasons Wright has developed a passion for convincing consumers to buy into organic detox water is that our body is constantly working to dispel toxins and unwanted matter from its various systems, according to a report on the importance of detoxifying the body at https://www.foodmatters.com. LOOK OUT WORLD — If things hold up for this solid, innovative businesswoman whose best entrepreneurship days seem well ahead of her then, in all likelihood, her strategic goals and ambitions for 2019 and beyond will surely come full circle. That is, Wright is working diligently on ensuring that her booming business attracts more of a national presence. “Over time, the body gets run down from unhealthy food choices, alcohol, caffeine, drugs, stress, and environmental toxins that are a part of modern day life. No matter how healthy your diet or lifestyle may be, external factors still require us to give the body a chance to recharge and dispel anything that may be holding us back from experiencing superior health and long lasting vitality. THE TABLE IS SPREAD — Much to her delight, Wright’s passion for helping other achieve their strategic health and wellness goals and objectives has not only given way to some much-needed financial stability but, to her credit, her delectable products have created a huge buzz in the state where its residents have become accustomed to doing things big. For what it’s worth, these are just a few notable factors Wright will likely address in the coming days when she host a presentation with a division of the Dallas Independent School District (or DISD), during which she will share pertinent information about her organic detox water products. For this devoted single mother of three, amongst the things of which she’s grateful is that God has surely moved on her behalf, particularly since the inception of her business. Appropriately and well stated by this thriving Texas businesswoman, one who’s steadily making a strong case that she’s the detox water industry’s best kept secret. For more information about Dallas/Fort Worth-area Businesswoman Tyresha “Ty” Wright of Wright’s Organic Detox Water or to place orders, call 469.733.2399. Also, connect with her via facebook https://www.facebook.com/WrightsOrganicDetoxWater/. EDITOR’S NOTE: This story on Dallas/Fort Worth businesswoman LaTambria Smith was originally published by Making Headline News on October 11, 2017. Since the release of this story, Smith, a Dallas Skyline High graduate, has announced that she will be releasing a book that will recall her assortment of emotional testimonies, as well as host an empowerment conference that will take place at a date to be announced. 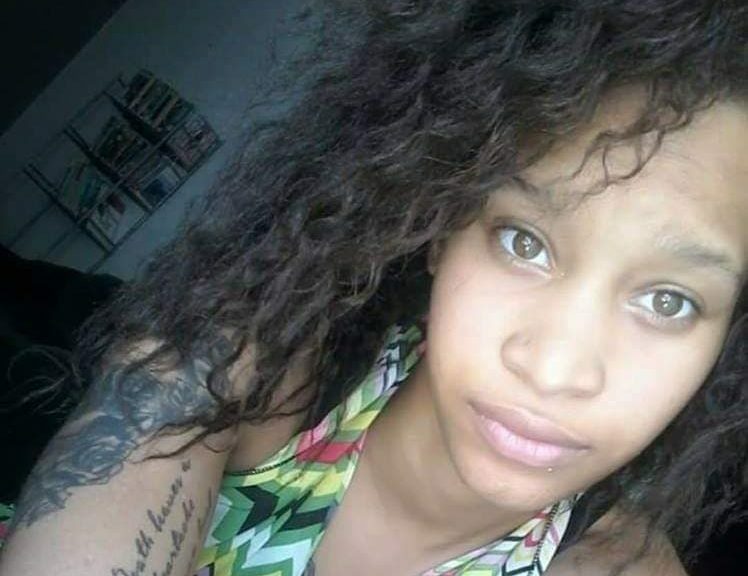 DALLAS — Back on February 8, one day before her 33rd birthday, LaTambria Smith staged to her Facebook page a rather descriptive and touching image that detailed a timeline of arguably the most challenging and tear-jerking moments of her young life. For starters, Smith underwent surgery to have her cancer cells removed from her cervix in 2007. SHE’S STILL STANDING — Dallas-area businesswoman LaTambria Smith is owner of Tam’s Sweet Treats And More, a professionally run DFW-based professional baking business in which Smith specializes in preparing a variety of delectable, mouth-watering desserts. Approximately a year later, she had a pre-eclampsia, or an emergency C-Section performed, a procedure that gave way to her child being 25 weeks prematurely and weighing just one pound, six ounces. Two years later, doctors removed cancer cells from her cervix only to have a similar procedure performed the following year. Then in 2012, Smith had to have another emergency C-Section performed, during which she had given birth to her baby at 23 weeks, a child whom weighed 14 ounces. THESE CAKES ARE LIT — A business Smith established approximately three years ago, Tam’s Sweet Treats And More is widely known for providing consumers with a variety of sweets, most notably cakes, teacakes, chocolate covered sweets and its famous cupcakes. Consequently, things would become even more somber in the life of a young woman whose faith undoubtedly was on trial unlike never before. That’s because later that year, doctors had discovered a softball-size tumor in Smith’s stomach during the C-section. Unfortunately, Smith’s baby passed away three weeks later after a month-and-a-half stay in the NICU. Consequently, she underwent successful surgery, during which she had the tumor removed. Then in 2015, Smith was hit with more disheartening news when she got word that she had a leaking heart valve due to high blood pressure. ALL OCCASIONS CAKES AND TREATS — You name it and chances are Smith — this professional baking guru — will hook you up regardless of the occasion. As if those slew of obstacles weren’t enough to try Smith’s faith, she learned some time last year that the nerves behind both of her eyes were swollen twice their normal size, in large part because doctors discovered excessive fluid around her brain. While such a heartbreaking sequence of events would bring even the strongest of persons to tears, Smith deemed it essential to end the timeline image with four words that, despite an assortment of potentially fatal occurrences, practically explains why she’s the blessed woman for whom she is widely known. In 2013, doctors had discovered a softball-size tumor in Smith’s stomach during the C-section. Unfortunately, Smith’s baby passed away three weeks later after a month-and-a-half stay in the NICU. Consequently, she underwent successful surgery, during which she had the tumor removed. “AND I’M STILL STANDING,” Smith staged to an image that was accompanied by three exclamation points. All things considered and because of what she had to survive, Smith doesn’t shy away from the notion that while she’s yet breathing, she might as well live life to the fullest — while walking in purpose through entrepreneurship in the process. “To me this is not only a business, but a passion,” Smith told Making Headline News. You name it and chances are this professional baking guru will hook you up regardless of the occasion. A business she established approximately three years ago, Tam’s Sweet Treats And More is widely known for providing consumers with a variety of sweets, most notably cakes, teacakes, chocolate covered sweets and its famous cupcakes. HER REASONS — All things considered and because of what she had to survive, Smith doesn’t shy away from the notion that while she’s yet breathing, she might as well live life to the fullest — while walking in purpose through entrepreneurship in the process. Pictured with Smith in a recent photo from the National Civil Rights Museum in Memphis are her daughters: Amaiyah Ross, 11 (left), and Mariah Ross, 10. Talk about a dramatic comeback to ultimately start and manage a business amid a rash of agonizing setbacks. “To have my girls watch and encourage me pushes me even more, because I know my passion and drive is a lesson for them as they grow,” Smith said while flashing her big, signature smile. How befitting to put on display a well-deserved smile, this after having conquered and outlasted and defied arguably the greatest of odds time and time again. For more information about Tam’s Sweet Treats And More or to place orders, call Tambria Smith at 469.223.3928 or email her at latambriasmith@gmail.com. Also, reach her via social media at: Facebook.com/Tamssweettreatsandmore and Instagram @tamssweettreatsandmore. DALLAS — T. L. Adams is a writer. A pretty darn good and resourceful one, to be more technical. To her distinctly unique credit, she has a few good reasons why she has appropriately adopted a passion for writing, most notably through the ever-so-competitive authorship industry. “Writing about my life and short stories are therapy to me,” Adams, an accomplished author who’s widely known as ‘Tynisa Adams,’ told Making Headline News during a recent interview. SHE’S AIN’T STUPID — A native of Kansas City, Missouri, Dallas/Fort Worth-area author T. L. Adams is the mastermind behind the book entitled, “Get Rid Of Your Stupid List: Seven Reasons You Are Successful And Still Single,” a 112-page written document that officially hit the market in July 2017. As Adams acknowledged, it wasn’t until after her divorce that she consequently returned to dating, a trend that essentially fueled her fervent desire to compose her assortment of experiences in the form of a book. “After my divorce was final, I knew I had to write about my experiences,” Adams said. She did just that, having produced a book that not only details her slew of life-changing encounters, but also one that is enabling others to assess the overall landscape of their lives — particularly as it relates to interpersonal relational skills. Armed with a wealth of beauty, Adams is a divorced mom of two children whom, as a gifted author, deemed it essential to share before the world a variety of issues, particularly as it pertains to dating – most notably various forms of pain, frustration, and disappointment. BACK AND BETTER THAN EVER — As Adams acknowledged, it wasn’t until after her divorce that she consequently returned to dating, a trend that essentially fueled her desire to compose her assortment of experiences in the form of a book. But understand this notion also: Adams emphasizes, among other things, that she isn’t merely pinning blame on men as to why she’s presently single. So don’t get it twisted. All things considered, “Get Rid Of Your Stupid List: Seven Reasons You Are Successful And Still Single” is not a man-bashing book, Adams acknowledged without hesitation. IT’S ALL GOOD — As expected, Adams has become the beneficiary of some favorable feedback since the much-anticipated release of a Get Rid Of Your Stupid List book that is comprised of 112 pages in length. As expected, Adams has become the beneficiary of some favorable feedback since the much-anticipated release of a Get Rid Of Your Stupid List book that is comprised of 112 pages in length. Having earned both an MBA and a Master’s in Counseling and currently pursuing a Doctorate in Psychology, Adams doesn’t shy away from the notion that her first book undoubtedly is a part of the purpose for which God has created her. “I believe that this book is a part of the purpose for which God created me, because it is an avenue to share my personal experiences, going through a divorce and starting over in the dating scene,” Adams said. “I share my failures and job loss, (which is) my motivation to push myself the way I do. We all have a story to share and publishing a book, talking about my dating life will help others avoid the mistakes I have made by choosing the wrong guys (I chose) in my life. ISN’T SHE LOVELY? Armed with a wealth of beauty, Adams is a divorced mom of two children whom, as a gifted author, deemed it essential to share before the world a variety of issues, particularly as it pertains to dating – most notably various forms of pain, frustration, and disappointment. She’s done just that, courtesy of what undoubtedly is a must-read book, one whereby she’s holding herself accountable as to why she’s single — at least for the time being. For more information Dallas/Fort Worth-area Author Tynisa Adams, or to schedule her for a public appearance, a book signing, or speaking engagement, connect with her via social media at: https://www.facebook.com/tynisa.adams.1. Also, send email to: tynisaadams@hotmail.com. LEWISVILLE, Texas — Tahj Martin is just a tender 15-year-old student athlete. A great, big gigantic one, that is. Consider, for instance, Martin’s massive frame that is comprised of his standing 6-foot-3 and weighing in at 261 pounds which, to his credit, is practically equivalent of an NFL lineup. UNDER THE RADAR — Assuming roles on both sides of the ball as a left tackle and defensive end for Lewisville coach Michael Odle’s squad, Tahj Martin enjoyed a significant amount of action this past season for the Farmers as his stock amongst college scouts and recruiters increased mightily in the process. Speaking of the NFL, Martin doesn’t shy away from the notion that playing football on Sundays undoubtedly is amongst his major long-term ambitions. But first thing’s first: blossoming as a rising prep footballer. A triumphant mentality certainly highlights Martin’s assortment of key attributes as a true freshman for Lewisville (Texas) High’s football team. STOCK IS RISING — With so much high school football ahead of him, Martin has already garnered interests from Texas Christian University and the University of Texas. Martin, in fact, is coming off of a productive and breakthrough season for an upstart Lewisville team that finished the 2018 campaign with a 9-3 mark, including an impressive 6-1 record in 6A Region I District 6, second only to conference rival Flower Mound. Assuming roles on both sides of the ball as a left tackle and defensive end for coach Michael Odle’s squad, Martin enjoyed a significant amount of action for the Farmers as his stock amongst college scouts and recruiters increased mightily in the process. No one, it seems, can attest to his notion more than his father, Geoffrey Grant Martin, who’s thoroughly convinced that his son is making a strong case that his prep football career will culminate with him signing a National Letter of Intent. TEXAS-SIZED IMPACT — Martin is coming off of a productive and breakthrough season for an upstart Lewisville team that finished the 2018 campaign with a 9-3 mark, including an impressive 6-1 record in 6A Region I District 6, second only to conference rival Flower Mound. All things considered, Martin’s favorable display as a true freshmen for the Farmers has, in fact, given way to a few college scouts deeming it essential to thrust him under their radar. With so much high school football ahead of him, Martin has already garnered interests from Texas Christian University and the University of Texas. DOING IT BIG IN TEXAS — Martin’s massive frame that is comprised of his standing 6-foot-3 and weighing in at 261 pounds which, to his credit, is practically equivalent of an NFL lineup. Given the immeasurable impact he’s had thus far in his prep career, expect that list to expand much sooner than later. Although he did not attend any camps this past summer because of unforeseen circumstances, Martin was especially active, particularly as it relates to conditioning regularly and monitoring his weight. DON’T LEAVE ME HANGING — A triumphant mentality certainly highlights Martin’s assortment of key attributes as a true freshman for Lewisville High’s football team. Despite his overall body of work on and off the field, coupled with the impressive resume he’s established to this point, Martin also doesn’t shy away from the notion that no one has to persuade him not to hit the cruise control button at this point. Not with so much prep football ahead of him. WAITING HIS TURN — All things considered, Martin’s favorable display a true underclassmen for the Farmers has, in fact, given way to a few college scouts deeming it essential to thrust him under their radar. A pretty wise and thorough assessment, this coming from a tender 15-year-old student athlete. One whose short list of interested colleges undoubtedly is expected to expand much sooner than later.